Cleaners Islington is a top rated cleaning agency that provides a guarantee of 48 hours for all end of tenancy cleaning services. If you have any complaints regarding the service then just make a call and we will send our team back to re clean the missed areas. 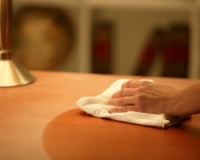 Our cleaning team in Islington team will reach your place with all the required equipment and detergents in order to ensure that the best cleaning standards are maintained. We maintain high standards in our services and make sure that you get the services that we promise in our advertisements. There is some ingrained dirt which cannot be removed, so we would not be held liable for those. If the windows are reachable from outside then we clean them and the additional charges apply for those. We also clean upholstery and carpets along with your laundry and dishes, some additional charges will be applied for al these services. The client must pay the parking fee for our vehicle or provide us some free parking space. The client must make complain within 48 hours or we will not entertain any complains. I am really happy with the end of tenancy cleaning solution provided by CleaningIslington.org.uk. The team has done a perfect job and managed to clean all the property including the bedrooms, the kitchen and the living room. I would recommend your services to my friends. I am a person who often shift from one accommodation to another and when this happens I hire a cleaning company to deal with the end of tenancy cleaning. The last time I moved from a studio flat in Islington to one bedroom flat in Ealing. I have contacted Cleaners Islington and can say that they are polite and friendly. I think the prices of their cleaning solutions are really reasonable. I’ve used the company on several occasions during the years (they are in business since at least 6 years ago) on an ad-hoc basis and they are always quick to respond and organize the cleaning, as well as having very-skilled workforce. I’m very pleased with the quality of their work and will definitely use again!